Painting Acrylic on Canvas | 30" x 19"
I search for expression through my art. For me, art is a spontaneous and joyful celebration of life. Having travelled to different parts of India, my paintings reflect the true essence of Indian rustic life. Art is an ever changing; an unpredictable journey that unleashes my creativity. I strive to bring forth spontaneity to the subject I choose to depict using a touch of expressionism and pulsating vibrant colors. I use colors in an almost surreal fashion, seemingly altering with the perspective of the viewers. I have drawn inspiration from tribal art because there is depth, richness and beauty in the tribal world. I want my work to have a timeless quality, connecting to the past and future. Ultimately, I wish to touch and move the spirit of others through my painting. Sunita Dinda is an artist who has been fuelling her passion for art right from the beginning. 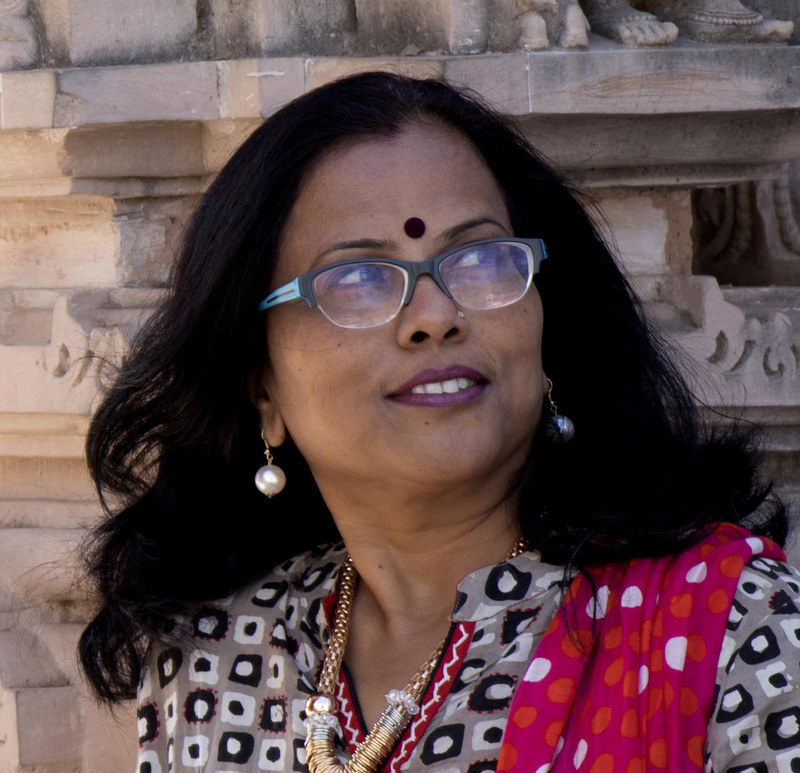 She completed her diploma in Fine Arts from Tagore school of Arts and Crafts, Jamshedpur following which she passed a certificate course in Decorative Art and Craft. She also holds an Ankan Bivakar (Equivalent to a Bachelors Degree in Fine Arts) from Pabindra Bharti University. Sunita’s artwork mainly have folk touches that are painted according to the Bengal school of art. She has received an award for being the Best Exhibit in Wash Technique (Group Graphia), and for ‘Artscapes,’ at an All India Women Artists contemporary Art Exhibition, Chandigarh. Sunita has also been felicitated by the Govt. of Jharkand for the selection of Paintings in making calendars for the government of Jharkand. She has participated in almost 40 group shows and camps across the country and her work features in many private collections at Jamshedpur, Jaipur, Mumbai, Bhopal, Hong Kong and Hungary.